Welcome to Writing Tip Wednesday! This week, R.L. Syme, one of my fabulous foodie friends, is here to share her fun twist on writing advice. Take it away, Becca! There’s a famous podcast called The Sporkful, where Dan Pashman (formerly of NPR) repeats the catch phrase, “It’s not for foodies, it’s for eaters,” in reference to the quirky weekly call-in show about food. If you think for a moment about the distinction between “foodies” and “eaters”, you get the heart of this podcast. Pashman doesn’t want to get caught up in the cool. He’s talking directly to people who consume food, and he wants to help them “Eat More Better”—another catch-phrase from The Sporkful. Pashman cares about the quality of your eating experience, and his whole podcast is about how to eat foods so that you get the most enjoyment out of the experience. They have whole conversations about coffee ice cubes for iced coffee and whether or not to eat your cheeseburger upside down to maximize the cheese-to-tongue ratio. Most of his podcasts include strategic advice about foods we already consume because he desperately wants people to eat, more better. And, to eat more, better. Thus, the phrase, eat more better. It works on two levels. Like Pashman, I care about the quality experience. Except because I am not an NPR food show writer, and I’m a romance novelist, I care about writers, and how writers produce a quality experience for readers. This is possibly the thing that I care about the most—probably because I have both produced and read books that were not as quality an experience as I could have both produced and read, and I’m sick of that experience. So you want my advice, new writers? Here it is. Write More Better. Or, rather, WrytMoarBetr. Why the weird spelling? Two reasons. One is about something Seth Godin calls “The Purple Cow”. In order to be memorable, it has to be different. And “it” can represent anything in that sentence. Commercials, books, ad campaigns, slogans…what have you. To be memorable, it has to be the purple cow in a world of brown cows. So there you have it. Wryt Moar Betr. The second reason is because I think, as writers, we get caught up in what is the “right” way, or the “correct” way to do something. What is the perfect spelling for this word, or what is the perfect editing technique, or what is the perfect workshop or the perfect strategy. Grammar rules train us to look for the perfect. But in writing, especially in learning how to write, there is no such thing as perfect. What works for me may not work for you. Doesn’t mean you shouldn’t try it, but it does mean you shouldn’t count on it. As a writer, you need to be intuitive about your own process. Know yourself, and then you’ll be able to figure out what works for you. But, for a moment, back to The Sporkful. Wryt Moar Better, like Eat More Better, is about quality. Dan Pashman cares about your chicken-wing-eating technique because he thinks that consuming a chicken wing will give you the best eating experience. But in order to find the absolute best way to eat a chicken wing (so that you get the most meat off the bones, so that you get the best skin-to-meat ratio on your tongue, etc. ), you have to find a lot of ways to eat a chicken wing, and be willing to fail until you find the right way. So this is my basic advice to new writers: be willing to fail. Because you will fail, and that is good. Failing is good. Just fail better each time you fail. On the way to your perfect cheeseburger-eating technique are a lot of subpar cheeseburger-eating experiences. Only when you find the right way will you know that you’ve arrived at the right way. Keep failing until you find your success. And allow yourself to fail until you find success. Otherwise, you’re going to settle for eating your cheeseburger—or writing your novel—the same way everyone else eats their cheeseburger, just because that’s the way it’s always been done. Be willing to find what works the best for you. That might mean some manuscripts never see the light of day, because they’re your bad cheeseburger. But that’s okay. You don’t need to publish everything you write. Build a better cheeseburger so your readers can eat a better cheeseburger, and then eat it more better. I promise you, your readers will thank you. R.L. Syme is a best-selling, award-winning author of both contemporary and historical romance. After careers in youth work, musical theater, and non-profits, she writes about hot Highlanders and extreme Chefs. 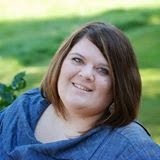 A member of RWA (Romance Writers of America) and SCBWI (Society of Children's Book Writers and Illustrators), Becca lives in Montana with her cat who drinks wine and does not answer back when she talks to him. Thanks for visiting with me today, Becca! Writers, how are you going to WrytMoarBetr??? I absolutely love this post and the food analogies! I'm currently experimenting with sub genres of romance in response to editors' call-outs. This is a risk and I can't let myself get discouraged if the responses aren't positive. I hope to learn something valuable from it, though. Experimenting is a great way to discover a new genre or sub-genre you really enjoy writing, Cathy! I think some writers tend to write what editors are looking for at any given moment without considering whether the sub-genre is one they love writing. A great story trumps trends!